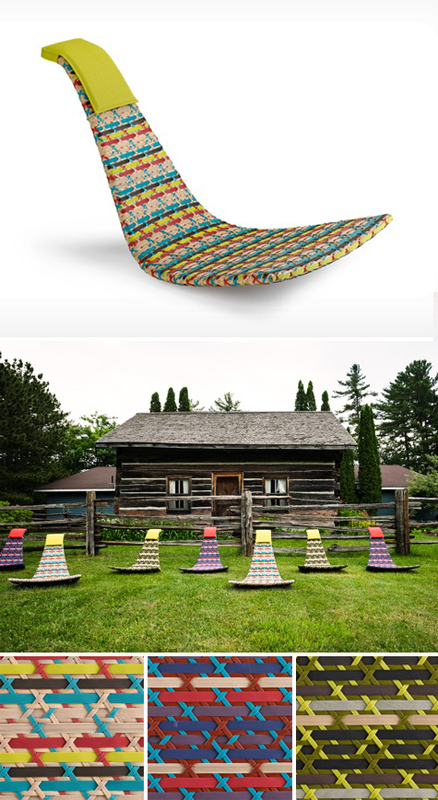 Fedro, designed by Lorenza Bozzoli for Dedon, is a lightweight floor rocker with a colorful woven surface. The chair's birdlike form inspired its color schemes, all based on tropical birds of Latin American - the Flamingo, Colibri and Quetzal. I love the chair's fresh form and attention to detail in the weaving.